Comments On this divine occasion of Shanieswari Amavasya-The birth day of Lord Saturn/Shani we start our monthly talismans with the Gem of Saturn-Neelam-The Blue Sapphire.A Rich Sky blue fully natural and untreated Ceylon Blue Sapphire, that we have categorised as entry level, but has splendid lustre and a strong color, this one is a magnificent gemstone for the magnificent power of Saturn! 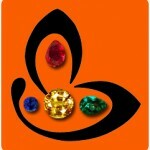 Sattvik gemstone with amazing Jyotish and cosmic powers! Set in a minimal and understated sterling silver ring and making an exceptionally powerful Jyotish talisman! 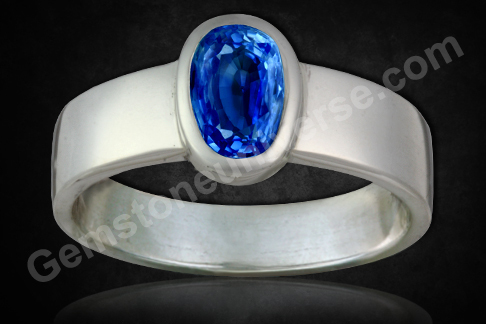 Natural Blue Sapphire – the gem for Saturn!